This cookbook is a vibrant and fascinating guide to ingredients, cooking techniques and culinary traditions with over 350 delicious step-by-step recipes. 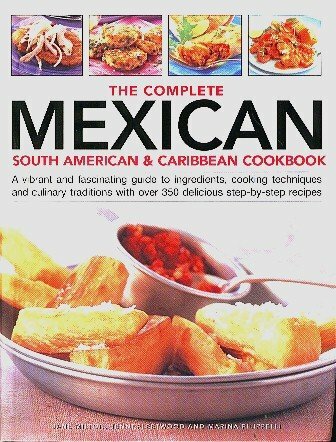 A Comprehensive recipe compilation that encompasses both traditional dishes and exciting new ideas, from simple street favorites, such as Barbecued Jerk Chicken and Quesadillas, to exotic food for more sumptuous feasts, such as Chilean Seafood Platter and Drunken Duck. Superbly illlustrated with more than 1450 color photographs, including easy-to-follow step-by-step instructions. Complete nutritional information is included for every recipe.